11. 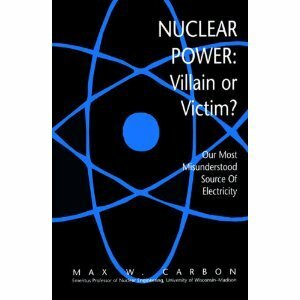 Nuclear Power: Villain or Victim? "Most of us were taught that the goal of science is power over nature, as if science and power were one thing and nature quite another. Niels Bohr observed to the contrary that the more modest but relentless goal of science is, in his words, 'the gradual removal of prejudice.' By 'prejudice,' Bohr meant belief unsupported by evidence." I used to oppose nuclear power, even though the Sierra Club supported it. By the mid-1970s the Sierra Club turned against nuclear power too. However, as we witness the catastrophic consequences of accelerated global temperature increase, prominent environmentalists as well as skeptics like me have started taking a fresh look at nuclear energy. A large percentage of the heat-trapping greenhouse gases, especially carbon dioxide, that thaw Arctic ice and glaciers comes from making electricity, and we rely upon it every second of our lives. 75% of that baseload electricity comes from power plants that burn fossil fuels, mainly coal, and emit carbon dioxide. Toxic waste from coal-fired plants kills 24,000 Americans annually. 5% comes from hydroelectric plants. Less than 1% comes from wind and solar power. 20% comes from nuclear plants that use low-enriched uranium as fuel, burn nothing, and emit virtually no CO2. In 50 years of operation, they have caused no deaths to the public. When I began my research eight years ago, I'd assumed that we had many choices in the way we made electricity. But we don't. Nuclear power is the only large-scale, environmentally-benign, time-tested technology currently available to provide clean electricity. Wind and solar power have a role to play, but since they’re diffuse and intermittent, they can't provide baseload, and they always require some form of backup--usually from burning fossil fuels, which have a huge impact on public health. Nuclear power emits no gases because it does not burn anything; it provides 73% of America's clean-air electricity generation, using fuel that is tiny in volume but steadily provides an immense amount of energy. Spent nuclear fuel is always shielded and isolated from the public. Annual waste from one typical reactor could fit in the bed of a standard pickup. The retired fuel from 50 years of U.S. reactor operation could fit in a single football field; it amounts to 77,000 tons. A large coal-fired plant produces ten times as much solid waste in one day, much of it hazardous to health. We discard 179,000 tons of batteries annually--they contain toxic heavy metals. Nuclear power's carbon dioxide emissions throughout its life-cycle and while producing electricity are about the same as those of wind power. I wanted to know if what Rip was telling me was true.He took me on a tour of the nuclear world so that I could learn firsthand its risks and benefits. I visited many facilities, talked to many scientists in different disciplines, and researched the conclusions of the National Academy of Sciences and various international scientific bodies. As I learned more, I became persuaded that the safety culture that prevails at U.S. nuclear plants and the laws of physics make them a safe and important tool for addressing global warming. Clearly many of my beliefs had originated in misinformation and fear-mongering. I've now met many people dedicated to saving the environment while supporting nuclear power as well as other green resources. This path is only logical. Nuclear power is the only large-scale, non-greenhouse-gas emitting electricity source that can be considerably expanded while maintaining only a small environmental footprint. If as a society we're going to reduce those emissions, we'll need every resource to do so, and we'll have to set aside our ideological blinkers, look at the facts, and unite to meet the greatest challenge humanity has ever faced. The power to change our world does not lie in rocks, rivers, wind, or sunlight.It lies within each of us. There are a number of detractors who obviously haven't read the book and pose questions that Cravens answers, and a few who don't like the writing style.Well, if you're accustomed to reading non-fiction, or verity in the words of Richard Rhodes, then you should find 'Power to Save the World' a lyrical and charming book brimming with the idiosyncrasies of a curious and intelligent writer.Some bemoan descriptions of telephone poles and rusted car hulks, wanting "Strictly the facts, Ma'am," but this is a dense book with small type and in a different format it could have run to five hundred pages, so a dry, factual approach would have been tiresome. 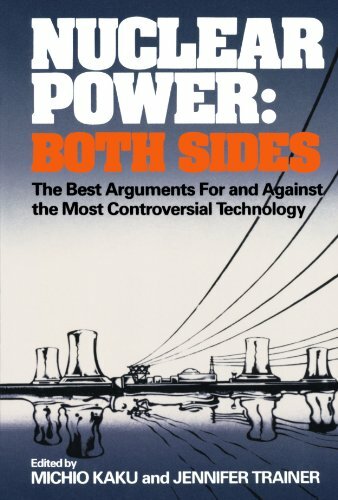 'Power to Save the World' is introduced by Richard Rhodes, and I could argue that he is America's leading nuclear historian, having written two of the best books on the subject, and his 'Making of the Atomic Bomb' enjoys a non-fictional reputation akin to Joyce's 'Ulysses. 'The Rhodes imprimatur was enough for me to buy the book, and what follows is a tour of the full nuclear cycle from mine to reactor, followed by the controversy of disposal.The book closes in the wonderland of the WIPP, the Waste Isolation Pilot Plant carved into salt caverns under a crustal pressure of 500 000psi, so that the caverns grow back together and seal the waste deep underground. Facts sprinkled throughout the book add real substance to the message; a nuke plant can supply your entire life's energy needs while producing only enough waste to fill a soda can, and in counter-terrorism drills, trained SWAT teams with plans to the plant only penetrate to the core fifteen percent of the time (and once they get there they can do little with containment domes and reactors engineered to withstand, well, nuclear explosions. )We have already had a Chernobyl in the U.S. but it was contained by superior American engineering and the industry has made many improvements since.In fact there was an entire operation dedicated to testing reactors by deliberately causing failures; Cravens visits the Idaho laboratory where thousands were once engaged in that research, and she similarly visits Yucca Mountain and a coal-fired power plant.There are many people who are hoping that 'Power to Save the World' will be the founding basis for a national conversation about nuclear power supplemented by wind and solar in an age of smart conservation. "Come join me on my voyage to the other side of the nuclear energy debate" is the author's approach in this wonderful mind changing work.If you, the potential reader, is an anti-nuclear energy believer, that is, someone who will not change his or her mind whatever the evidence and arguments, then do not read this book.On the other hand if you're willing to consider the possibility that you may be wrong (as in my case) then by all means buy this book and be prepared for a trip. It's been reported that this book is now assigned reading in some high schools that gives me hope for human kind's future.I'm now convinced that fossil in dead end street, emphasis on "dead".Bumper sticker me "An Environmentalist for Nuclear Power." This book manages to present the facts in understandable language without sacrificing necessary depth.Awesome. 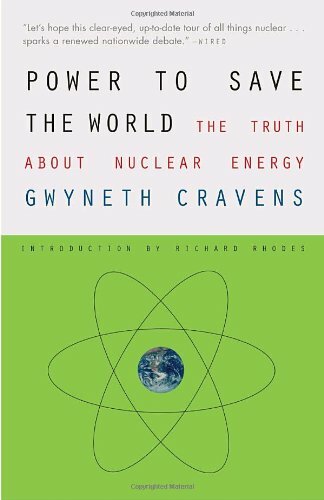 A great review of the history and state of nuclear power and the nuclear fuel cycle.As a former skeptic, Cravens thoroughly explores every common misconception spread by anti-nuclear power activists and why they are generally wrong and mislead.Cravens also thoroughly explores all the actual negatives of nuclear power and puts them in context of all the negatives that exist in every other energy source (even solar and wind have important negatives to consider). HOWEVER, REMEMBER: Her conclusion is that we need a COMBINATION of renewables (e.g. wind, solar, hydro) and nuclear to combat climate change in the near to intermediate future.Without nuclear, we cannot get carbon free for many many decades.We need to replace coal and oil NOW, and the only way to do that in the next 10-20 years is by expanding nuclear power. I'm a physicist, I understand the issues, and I'm strongly in favor of expanded nuclear power.In my view, it's the only way to combat climate change NOW, while we continue to explore and expand other green technologies. 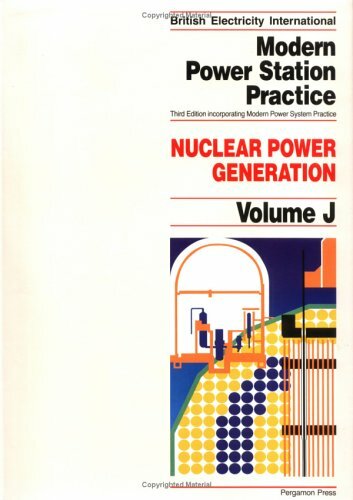 The book is a great introduction for anyone who wants to put the issue in context.It explores every important aspect of the nuclear power question.The book makes the technical aspects accessible for the layman, although as a physicist I found it a little lax on technical details (but those can be found elsewhere). The book rambles a little bit (but not too bad) towards the middle, which is the only reason I give it 4 instead of 5 stars.Otherwise, I found the book compelling and important.It does a fantastic job of putting the concept of radiation into context for those who don't really understand what radiation is. Nuclear Power: The science is sound, it's the best/only climate solution available TODAY, it's safe, its cost effective, it's our bridge to a green world, the waste is only a political one and not a scientific one. “Persuasive and based on deep research. Atomic Awakening taught me a great deal. "—NatureThe American public's introduction to nuclear technology was manifested in destruction and death. With Hiroshima and the Cold War still ringing in our ears, our perception of all things nuclear is seen through the lens of weapons development. Nuclear power is full of mind-bending theories, deep secrets, and the misdirection of public consciousness, some deliberate, some accidental. The result of this fixation on bombs and fallout is that the development of a non-polluting, renewable energy source stands frozen in time. Mahaffey's book is an entertaining read, but he bungles enough physics and history of physics to make one wonder if some of his history-of-nuclear-power lore is more tall-tales-around-the-campfire than it is accurate accounts of what really happened. First, the interesting stuff: Assuming he got these things right, we learn a fair amount about the vision and doggedness of Hyman Rickover, the father of our nuclear navy.There are also interesting, detailed accounts of various reactor accidents -- not just the obvious (Three Mile Island and Chernobyl) but also the obscure (the Windscale 1 reactor in Great Britain, and a number of cases at what's now called the Idaho Nuclear Engineering Laboratory near Arco, ID). 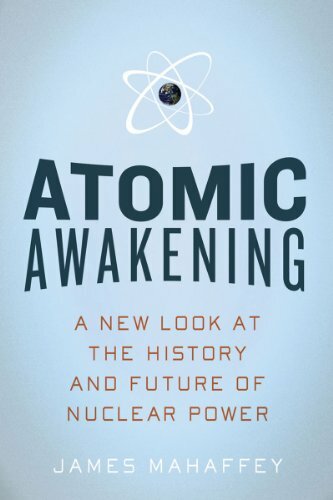 For another example, Mahaffey's account of the proceedings as Fermi turned on the world's first artificial sustained nuclear reaction at the University of Chicago in December, 1942 contains lots of relevant details I'd not read before (compare with Richard Rhodes's superb book, The Making of the Atomic Bomb). Mahaffey also discusses in detail the history of approaches to nuclear-powered aircraft and rockets.In hindsight, this seems like pretty fanciful stuff, but he makes clear that it was the product of the age of American exuberance, post World War II. Further, Mahaffey makes reasonable comparisons of the nuclear power industry's safety record with that of other industries.He says that Chernobyl, in 1986, caused 55 deaths (though I doubt that he has included here the later deaths due to the widespread radiation cloud) while 1984's Bhopal, India chemical disaster killed about 15,000. It's also worth noting that the book is well written, something one can't count on these days, despite the (purported) involvement of editors. So why only two stars?I would have given three, but in first reading the book, I skippedChapters 3 and 4 of Part I and Chapters 1 and 2 of Part II (pages 47 through 156), because it appeared to be about more history that I, as a physicist myself, already knew, and I wanted to move on to see what Mahaffey had to say about the prospects for nuclear power, looking ahead from our current situation.Actually, he doesn't say much about this - except to assert that the nuclearization of our economy is inevitable - and the book after page 133 is largely about those accidents and about those gee-whiz applications that never materialized. So I circled back to read the skipped pages, thinking they might answer some questions I had from reading the later chapters.But mostly what I came away with was astonishment that Mahaffey, who says he was an undergrad physics major, could so badly mangle basic facts about physics and the history of physics.Actually, there's some of this in the rest of the book, too, but those chapters really drove home the point that, if the author is this squirrelly about basics, there may be lots of careless assertions in the rest of the book, too. Page xxi [introduction].Einstein is identified as a "nuclear physicist," but he wasn't, and the proposed application to bombs was a surprise to him when Szilard brought it up. Page 16.Mahaffey writes something strongly suggesting he thinks Faraday discovered that an electric current produces a magnetic field.Actually, this was Oersted's discovery. Pages 53 - 54.Mahaffey tells us that Planck's crucial research was on the photoelectric effect and that the value of Planck's constant wasn't determined until years later.Further, he implies that Planck was an experimentalist.These are all glaring errors.As Wolfgang Pauli would have said, on these points, Mahaffey "isn't even wrong. "The facts are that Planck "discovered" quantum theory by coming up with a mathematical formula that perfectly fit the blackbody radiation curve determined by contemporary experimentalists, and, in so doing, he derived a reasonable value for what's now known as "Planck's constant. "Further, Planck was purely a theoretician. Page 80. "If hydrogen has an atomic weight of 1, then helium weighs 4.Nitrogen, further up the weight scale, has 7 protons, but has an atomic weight of 17. "It's hard to believe that Mahaffey's "17" is merely a typo. Page 151.I. I. Rabi is identified as "another very capable theorist from Hungary. "In fact, Rabi had immigrated to the U.S. at about age 3, with his family, from Galicia, in what's now Poland.And Rabi was, like Fermi, both experimentalist and theoretician. In his acknowledgements, Mahaffey thanks physicists Douglas Wrege and Don Harmer and nuclear engineer Monte Davis "for checking the manuscript for technical accuracy and clarity. "These three gentlemen, who also provided glowing endorsement blurbs for the book's back cover, must not have checked very carefully. Note that none of the errors I've pointed to detract from understanding the rest of the book.But the carelessness of their existence -- each one could easily have been checked and corrected -- casts doubt on the accuracy of the stories Mahaffey tells us. 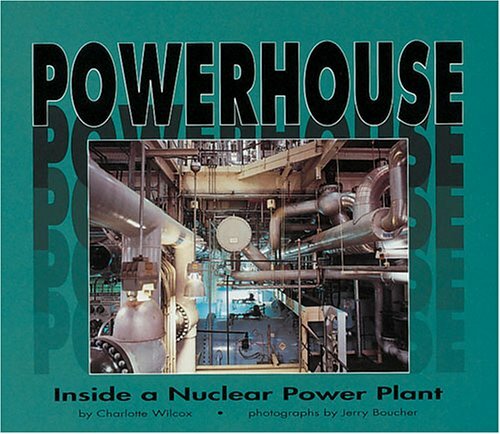 I got to hear a few tales of nuclear engineering from Dr. Mahaffey while working in the same building with him in the late 1990s, but this book proves those tidbits to have been only the tip of a vast iceberg of knowledge. The big question raised for me, personally, by this readable and fun book is how we can get Dr. Mahaffey writing about some additional subjects for our enjoyment! If he could write exciting science journalism like this about areas outside of his own science, then we could look forward to a whole stream of books the equal of this one. This book shines most in its descriptions of the great experimenters of nuclear physics. Unraveling the behavior of such tiny and difficult-to-observe components of the world as atoms and nuclear particles was a VERY hard problem, and Dr. Mahaffey is at his best when he is guiding the reader through a problem so that when the crucial moment arrives, and he describes the experiment that was performed to take our knowledge one step further, we get to both taste the excitement about what the outcome will be, and also savor the raw cleverness that the pioneers in nuclear engineering had to exercise in order to get matter to yield up its secrets and its structure. Beware that this book is strongest in its physics, but rather light on details when it comes to the actual design of a nuclear power plant. You will not, for example, receive a detailed understanding here of the exact cascade of minute-by-minute failures and misapprehensions that lead to the Three Mile Island incident -- and, consequently, the lessons drawn from such incidents are perhaps not as detailed as they could be. Dr. Mahaffey seems confident that nuclear power can be deployed safely, as indeed it seems to be today in countries like France, but the engineering student wanting to know the details of how this is accomplished, and thus to know where Dr. Mahaffey's confidence is placed, will have to look elsewhere. But for the reader of popular science accounts who wants to understand how we learned about radiation, developed the bomb, and then through stages came to harness the nuclear pile for the purposes of power, I can think of no better book. It is lucid, engaging, entertaining, and every tale is told with a twinkle in the author's eye as he often shares rare details about the actions and fates of the great nuclear physicists. James Mahaffey, a scientist at the Georgia Tech Research Institute, writes about the nuclear power industry that he has spent his life in. His history goes back well before his time, though, to the dawn of nuclear power. Then traces nuclear power from those early days through to today. Filled with stories and details, Mahaffey's history powerfully makes his point -- that nuclear power will be our power source for the future. Mahaffey writes well. His history has both humor and drama. He gives sober thought to the drawbacks of nuclear power, and admits they are real. But the drawbacks can be countered. On balance, the advantages weigh so heavily against the drawbacks that we should, Mahaffey argues, power our way forward with nuclear power. First, a couple of minor points. The footnotes are footnotes, at the bottom of the page, rather than endnotes at the back of the book. With Mahaffey's style, that adds immensely to ease of reading. And the tidbits Mahaffey feeds the reader are choice. They add spice and flavor to the main meal. Just one example: Mahaffey tells how a key Manhattan Project meeting was secretly held in northern California at the Bohemian Grove, out in the redwoods in the middle of nowhere. Mahaffey drops a footnote to give us President Nixon's comment on the Bohemian Grove that was caught on tape: "The Bohemian Grove -- which I attend from time to time -- it is the most faggy goddamned thing you could ever imagine, with that San Francisco crowd. I can't shake hands with anybody from San Francisco." Vintage Nixon. But the strengths of the book more than make up for that. You do not need to be a scientist or engineer to understand this book. Yet the book delves into the details. This book is meat, not milk. Yet Mahaffey does not force feed the reader. He lets (for the most part, at least) the history speaks for itself. And though Mahaffey is a scientist, not a historian, he can tell a story very well. Excellent historical work. I was hoping for more information about the future of nuclear power.Instead, I got a lot of unexpected information about the history of nuclear weapons. I still rate it five stars because it is a very good read.I was immediately absorbed and finished it quickly.I learned all kinds of interesting things. His writing style is very concise and easy to follow. I hope Dr. Mahaffey writes a new book about nuclear fusion. I found this book exciting to read.Mahaffey takes the complex subject of Nuclear Physics and tells a fascinating story beginning in the 1700's and ending today. I couldn't put it down.All the great scientific names we learned in school are brought to life along with their atomic accomplishments and failures.Maxwell, Planck, J.J. Thompson, Curie, Einstein, Rutherford, Bohr, Fermi, Oppenheimer, and many more, all weaved into a somewhat chronological account that takes us into WWII and the Little Boy and Fat Man Atomic Bombs.Then to Admiral Richover and the Nuclear Submarine and how we got to where we are today in Nuclear Power. The Three Mile Island and Chernobyl disasters are enlightening fast-paced reads, and by the time you reach them toward the end of the book you have been educated in the fundamental workings of a nuclear reactor (without realizing it), and are able to follow along with the erupting emergency situations within those two reactors. Mahaffey candidly explains the risks taken and the accidents made by the nuclear industry throughout the book.He doesn't seem to sugar-coat the failures and disasters as they are all valuable learning experiences.He finally dedicates about a page and a half almost at the end of the book to make his claim for Nuclear Power. I encourage anyone who is interested in history, global warming, science, nuclear energy, nuclear physics, atomic bombs, radiation medicine, radiation poisoning, uranium, plutonium, or space travel to read this book. It is a lively, interesting, and educational read. I give Mahaffey Five Stars. 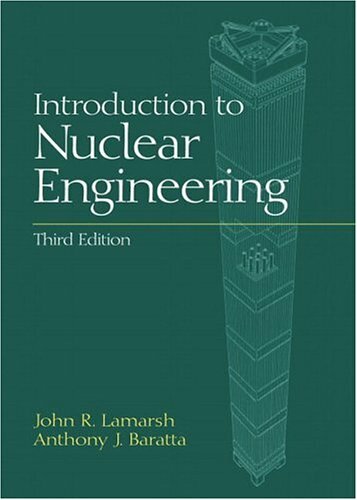 Offering the most current and complete introduction to nuclear engineering available, this book contains new information on French, Russian, and Japanese nuclear reactors. All units have been revised to reflect current standards. 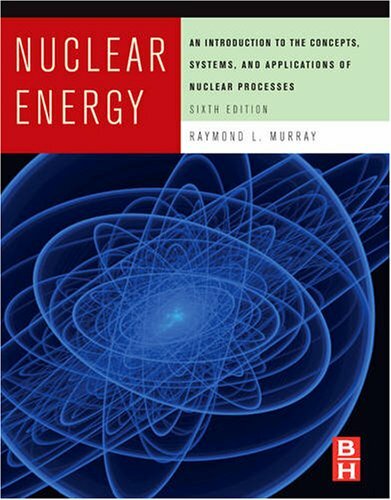 Includes discussions of new reactor types including the AP600, ABWR, and SBWR as well as an extensive section on non-US design reactors; the nuclear Navy and its impact on the development of nuclear energy; binding energy and such topics as the semi-empirical mass formula and elementary quantum mechanics; and solutions to the diffusion equation and a more general derivation of the point kinetics equation. Topics in reactor safety include a complete discussion of the Chernobyl accident and an updated section on TMI and the use of computer codes in safety analysis. For nuclear engineers. A really good subject. A lot of math speak and a few errors in the text and formulas, could use a few solutions to the problems. This book does an OK job up to about the 5th chapter.After that point, the exercises at the end of each chapter get considerably more difficult.Up until that point, the assignable problems and the sample problems in each chapter are very similar in terms of difficulty.Once chapter 5 begins, the sample problems in the text are completely useless as for deriving the differential equations necessary to solve the assignable problems.The only sample problems given in chapter 5 and beyond are real simple "plug and chug" type examples compared to the difficult problems at the end of the chapters.It's like showing someone how 2x4s can be nailed together and then asking someone to build a skyscraper.No fun. I was very glad not to have to miss any homework assignments; the book arrived on time and in pristine condition.Thank you. 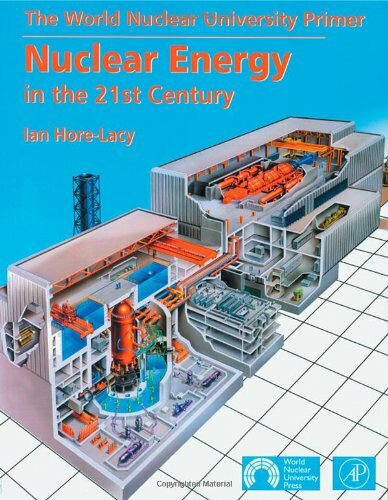 I used this book in a junior level course, the 2nd class I took in nuclear engineering, and it is at best hit-or-miss. Concepts are mostly discussed clearly and comprehensively, most topics relevant to fission reactors are included in the book, with a strong emphasis on reactor physics and neutron & quantum physics(~65% of the book), though the section on quantum mechanics is superficial. Thermal-hydraulics, fuel reprocessing, isotope separation, radiation shielding and reactor safety/licensing/accidents also appear, including a brief discussion of non-American reactor designs. Health physics & fusion get almost no text. The formulas are riddled with typos-missing minus signs, exponents, etc., which make it hard to use as a reference book since the publisher hasn't published a list of corrections-my professor actually warned us against using formulas straight out of the book! Constants necessary to solve a problem sometimes won't appear anywhere in the book, and the reference tables in the back are only in English units, even though the book uses English & SI units in problems and mostly SI in examples-and there's no good reason to use English units in an engineering textbook. period. The book assumes mathematics through calculus III and Differential Equations, and the appendices do a bad job of explaining relevant topics in those areas. The only reason to buy this book is because no other book covers such a variety of topics in the field. 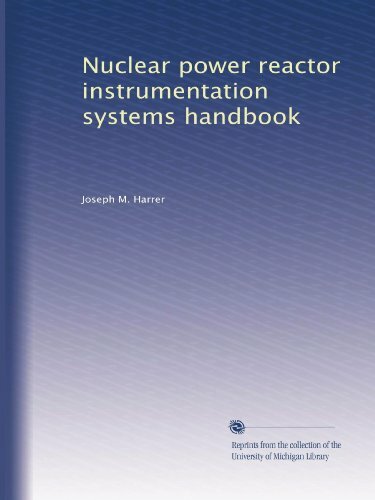 Hamilton's Nuclear Reactor Analysis & Kazimi's Nuclear Systems vol.1 do a much better job at discussing reactor physics & thermal-hydraulics than this book, respectively, even though they are more expensive. For a book that is supposed to be an intro to nuclear engineering, it is very vague. The questions in the homework are difficult to answer if the book is the only source we are using as a reference. There are several typos through out the book. 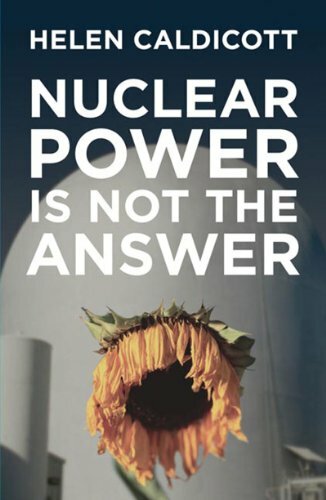 The premise of this book is that we will continue to exploit some form of energy since the alternative is a world that cannot support agriculture, civilization or current population.The United States has choices but activists, in collaboration with the news media, have distorted the negatives of nuclear power and ignored the consequences of the alternative: burning coal.The costs of building nuclear power plants have been inflated due to relentless law suits.Morris looks at the true costs of fossil fuel, and the true promise of nuclear power.Much of the world now relies for the majority of their electricity on nuclear plants, which have increasingly improved safety designs.So it's really an American problem, and we have missed out on the rational growth of clean nuclear power for three decades.The tone is a rational weighing of our options, and it is left to the reader to ask why we allowed ourselves to be distracted from the safer, cleaner, sustainable choice. Charts of fossil fuel accidents illustrate the raw deal nuclear has received. If you care about the future, read this book and then voice your support.Our decisions, unfortunately, involve political, not technical, considerations.The home of the brave needs the wisdom and courage to stand up for rational energy choices. This fact filled, convincing, and well researched book eloquently explains why we must start using Nuclear Power more extensively at the same time as it dispels many of the misunderstandings and myths surrounding Nuclear Power. Robert Morris is clearly not a fan of antinuclear activists, however, he understands the immense damage they have caused our Nation and to our children and grand children. Fossil fuels killed five million Americans in the twentieth century, and are estimated to kill about 50,000 Americans every year. 300,000 American former coal mine workers has died from black lung disease and 90,000 U.S. Coal miners have died in coal mining accidents since 1907. Fossil fuels are also causing global warming and acid rain, something R. Morris is discussing extensively. However, Nuclear Power has not killed a single American, not even a rabbit. Nuclear waste is a relatively small problem and most experts agree that the safe disposal of nuclear waste is a rather simple and easily solved problem. However, antinuclear activists have made this into a dangerous political issue. Dr. Helen Caldicott, a well known antinuclear activist, predicted that if a meltdown would have occurred at the Three Mile Island reactor 3,000 people (Nader said 100,000) would have died immediately and 500,000 people would have died within 15 to 50 years. When a real meltdown plus explosions occurred in a reactor without containment barriers; 31 people died within days and 4,000 or 20,000 (depending on whom you believe) will die in 50 year period. For Three Mile Island it might have been none because of the containment barriers. It should be noted that the Chernobyl reactor would never have been allowed to be built in the West for a number of reasons; it had a positive feedback loop (not allowed in the West), and lacked containment barriers. It was also used to produce plutonium for nuclear weapons in addition to producing electricity, and it was operated in a manner that would be extremely unlikely in the west. The Chernobyl accident was made possible because the Soviet Union was a totalitarian state. Uranium is everywhere in the earth crust, it is a very common mineral, and yes you have plenty of it in your yard. It is not very radioactive. Radon on the other hand is about 300 billion times more radioactive than Uranium. When something is extremely radioactive it disappears quickly and so does Radon. That is because there is an inverse relationship between half life and radioactive heat. However, Radon is continuously supplied from the enormous Uranium deposits in the earth crust and ends up in our basements, which is why Radon unlike Nuclear Power is a real problem. 14,000 people are estimated to die each year from the radioactivity from Radon, but no one dies from Nuclear Power. The author also discusses alternative energy sources and explains that they have immense wastes disposal problems (solar power), efficiency/economic problems, and environmental problems. He discusses terrorism, which is a larger problem for many other energy sources; nuclear Weapons, which cannot be created from the commercial Nuclear Power plants used in the West, and he also argues that the use of commercial Nuclear Power plants does not affect this issue much. Many of the European countries are using Nuclear Power a lot more extensively then the U.S. (U.S. about 20%, France about 80%). My home country Sweden is using a combination of Nuclear Power and Hydro electric Power to become fossil fuel independent by 2020. The U.S. cannot rely on Hydro electric Power but could use Nuclear Power a lot more. The fact that it has not done that has resulted in the deaths of hundreds of thousands of Americans, maybe millions, and adding to this malaise we have global warming. Not using Nuclear Power more is clearly the largest mistake the U.S. has ever made. I also would like to state a few facts from the book. These facts clearly support using Nuclear Power for electricity generation. (1) No excess genetic mutations have ever been produced in any of the children born to the Hiroshima and Nagasaki survivors after the war. (2) The fuels antinuclear activists have forced us to use instead of Nuclear Power are releasing 40 million tons of known chemical mutagens into the air each year. (4) After the treated wastes from a nuclear plant have been in storage for 100 years, their toxicity diminishes, and is then equal to that of arsenic trioxide, which we often spread around the food crops in our gardens to kill various pests. (5) Nuclear power plants produce only miniscule quantities of waste--equal to about one aspirin tablet in volume yearly for each person for whom they generate electricity. (6) Roughly 20,000 tons of Uranium is released into the air every year when Coal is burned. (7) Coal ashes are 180 times more radioactive than the level of radioactivity permissible for Nuclear Power Plants. (8) On October 9 and 10 1973 Iraq, Saudi Arabia, Kuwait, and other OPEC members seized all foreign holdings of oil reserves (and equipment). The largest theft in history amounted to 254 trillion dollars, or 25 times the U.S. GDP. (9) Nuclear Power has not killed a single American, not even a rabbit, excluding a few hundred uranium miners (only indirectly linked). (10) If we can effectively extract Uranium from the Ocean we will have enough Uranium to last us infinitely. Finally I would like to mention that I switched from using Coal generated electricity to using wind power in an effort to become carbon neutral, however, if I had the choice of using Nuclear poer instead I would have. When assessing nuclear power, the public should know about the baby tooth study which documents the nuclear emission strontium-90 in baby teeth, at birth, passing from mother to infant during pregnancy.This is linked to cancers.Look atradiation.orgHave you noticed the ever increasing cancer rate seen in our younger generations?The NRC states that 50% of the US population live within 50 miles of a nuclear plant.The government's breast cancer mortality map lines up with the governments's nuclear map, all across the country! I discovered some of this data, after having non-genetic breastcancer, 11 months after my mother died of breast cancer.She lived on Long Island, downwind of 3 nuclear plants.Be careful if you live near a nuclear plant. I hope this author is aware of this data. Contains perspectives on environmental risks of nuclear power compared to other energy sources. - In presenting the risks of air pollution from autos, the author points to the higher death toll from (producing electricity from coal-fired power plants) electric cars vs. relatively reduced levels of sulphor dioxide from gas-powered cars. Then, he seems way off base in saying "Los Angeles plans to completely ban gas-powered automobiles in just a few more years." Huh? - Likewise, the book is not current in the plans to dispose of spent nuclear fuel from nuclear power plants at Yucca Mountain, NV. He says the spent fuel will be encased in vitrified glass logs that will not corrode or release radioactive materials. The current plan is to use corrosion-resistant metal containers. He is right to say that disposal of nuclear waste is not "unsolvable" from a technical standpoint, although it remains to be seen whether it is solvable politically. In this book Robert Morris does a generally credible job explaining the benefits of nuclear power. His book is factually accurate and informative, and particularly useful to people who have listened to extensive anti-nuclear rhetoric without attempting to hear the pro-nuclear arguments. While I agree with most of the points Morris makes, I do have a couple of quibbles with the book. The first is endless, mind-numbing repetition. I don't know how many times he says that 50,000 people a year die in the US from carbon-based air pollution, but you can bet it's a lot. The basic point here is that while that is likely true, repeating it every other page for 200 pages or so does not help make the case: this book needs editing. The second issue I have with the book is the presence of grossly inflated, yet trivial arguments. There is no question, for instance, that coal and oil use are air polluters; that is a valid point to make in this book. Where the logic gets stretched, however, is when he claims that because of all this air pollution (that would not be present with more nuclear power) that humans probably have more fatal traffic accidents because carbon monoxide makes driver reaction times longer, seems improvable at best, and ludicrous at worst. These are the two big criticisms I have of the book. While I believe his data on nuclear safety statistics, I do think that he overestimates nuclear safety features, and perhaps underestimates dangers. Safety engineering professionals study not only the accidents in an industry, but also the incidents that did not lead to accidents, yet could have. On this matter Morris is totally silent, and I think that detracts significantly from the scientific validity of some of his arguments: in other words, accidents are actually very rare, incidents more common. Since Three Mile Island the nuclear industry has become much better about sharing trend data, but this book leads readers to the conclusion that nuclear power is a 100 percent safe, utopian energy source. I personally agree that it is a generally safe source of power, and that the US would be wise to follow Europe's lead (for once) and develop more of it. Having said that, I also believe that nuclear accidents could potentially be quite dangerous, despite Morris' reassurances. Most of the low rating reviewers here are clearly in the anti-nuclear camp, and I think it's admirable that they read the book (if they actually did). I do question where most of them got their information; some of the armchair critics seem unclear on basic physics or other issues (like Uranium ore production, for instance.) One particularly offensive reviewer thought that this book proves that Morris was worse than Hitler and hated babies. My take on that: if you can't objectively criticize the book, you must not have anything important to say...frequently like the media establishment. It is clear that Morris' assertion that the media spreads a virulently anti-nuclear message is correct, probably in part because they are politically to the left in general, but more likely simply because it sells. For the same reason that you never see a headline reading "Jetliner Lands On Time After a Smooth Flight: Passengers Enjoyed A Light Snack" you will also never see a headline reading "Nuclear Plant Releases No Radiation; Nobody Injured; Electricity Produced At A Reasonable Price." This is a differentiation that I think needs to me made, and while he attempts to make that argument in the book it falls a bit flat. While parts of this book are a bit overblown, and the book is clearly in the pro-nuclear camp, at least Morris makes his sympathies clear at the outset. I am glad that he wrote the book, and despite a few qualms about the presentation, I think it is worthy reading for anyone on either side of the nuclear debate, preferably in conjunction with the excellent and considerably more unbiased masterwork on contemporary nuclear safety organizations, "Hostages of Each Other" by Joseph Rees. 20 minutes from a complete core melt down. 1. The main feedwater system that supplies water to the steam generator malfunctioned and shutoff flow. "Water must be fed continually to the steam generators to make up for the flow of steam from the steam generators to the turbine. 2. Maintenance was being performed on the condensate polishing system. The polishing system is used to purify water in the feedwater system. 3. Alarms went off. An auxiliary feedwater system should have started automatically but it did not. The auxiliary system was to provide emergency source of cooling water to the steam generators, however, critical valves in the system were left closed. Without this critical water supply, the boiling water in the steam generators would boil away completely. A rapid rise in temperature and pressure occurred in the reactor's cooling system. 4. The turbine shutdown automatically. 5. Within seconds, the reactors control system shut down the reactor by dropping the control rods which insulate the neutrons generated from the U235 from striking other U235 atoms in adjacent fuel rods. The fission process stopped. 6. As temperatures and pressures rose water flowed into the pressurizer. The pressurizer is normal half full providing a cushion for expansion from the reactor. A power-operated relief valve also help control pressure during abnormal events. 7. A pressure-regulating valve opened to reduce pressure in the reactor and associated reactor systems. 8. Steam began flowing from the valve through piping into a collecting tank in the basement of the reactor containment building. The water was containinated with radioactive material. The flow caused the pressure to decrease. 9. The pressure regulating valve should have closed but it didn't. The operators had no way of monitoring the valve and therefore did not know it remained open. 10. Vital cooling water was flowing from the reactor out through the valve to the basement collecting tank. The tank overflowed spilling water on the basement floor and was pumped to storage tan in the adjacent building outside the containment building. 11. The emergency core cooling system started automatically. 12. The water level and volume in the reactor system was not measured directly. The operators relied on a measurement of the water level in the system's pressurizer. The operators thought there was adequate water inventory in the primary cooling system. Fearing the system might go solid (rupture from the reactor being 100 filled with water), they turned off the emergency core cooling system. 13. Pressure dropped from the escaping core water. By 5:30 am, the pressures had dropped so low that the large reactor coolant pumps used to circulate the water through the reactor and primary system began to vibrate. 14. The operators began shutting down the pumps to reduce damage. 15. Water began pouring onto the floor of the auxiliary building and radioactive gases found their way from the cooling water through the auxiliary building ventilation system to the outside world. 16. Despite the shutdown of the fission process at the beginning of the accident, energy was still being released in the fuel by the decay of the fission products generated during the operation of the reactor. 17. The rods eventual burst and melted, releasing large quantities of radioactivity into the cooling system. 18. When the fuel overheats the result is rapid oxidation of the zirconium alloy from which the fuel rods tubes are made. The process releases hydrogen. A hydrogen pocket formed at the top of the reactor, but did not ignite. 19. Radioactive gases normally contained in the rods were released into the cooling system, through the stuck valve, and to the reactor building. High radiation alarms began to sound. Radiation alarms began to sound at many points throughout the plant. 20. 6:22 am, the operators realized the power-operated relief valve was stuck open. 21. 6:55 am, a site emergency had been declared. 22. 9:00 am , TMI personnel discover water in the auxiliary building and stop the pumping from the containment building. 23. While operators were restoring the cooling system, the relief valve continued to release hydrogen into the containment-building atmosphere. The hydrogen combined with the oxygen and this mixture ignited. The building did not breach under the pressure of the igniting hydrogen. 24. The reactor system was cooled to a point where the reactor coolant pumps could be turned on and the normal process of heat removal resumed. I have read extensively on the Three Mile Island accident and believe that this book is probably the best introduction to the accident I have yet seen. The book is accurate and is scrupulously unbiased, which is a rarity in any book dealing with nuclear power. The first 32 pages of the book provide the best and most concise general overview of the accident I have read, and anyone wanting to understand the accident should start here. The book is accessible to non-specialists, but does not make inaccurate generalizations simply for ease of explanation. 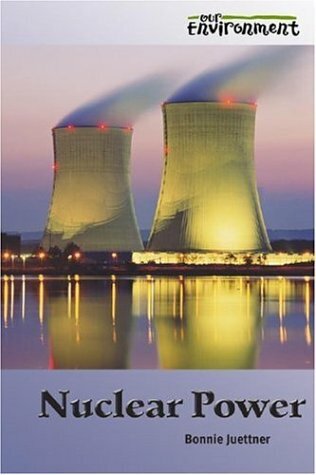 There is information presented on the basic concepts of nuclear energy, which makes the book extremely valuable to someone just beginning to read on the issue. More knowledgeable readers, industry professionals, and policymakers benefit from this book as well, as it has chapters on the health effects of the accident (including recent data on ongoing longitudinal studies), environmental effects of the accident, policy effects of the accidents, and perhaps most usefully, excellent appendices which include a useful glossary, an accident timeline, and a list of common misconceptions about the TMI accident. The authors have done an admirable job of writing a book that is useful to both professionals and the general public. It is extremely well documented, non-political, unbiased, and scrupulously accurate. I highly recommend this book to anyone interested in nuclear power. "Objective knowledge will help provide guidance for the decisions that will need to be made as we go forward into the next quarter-century. 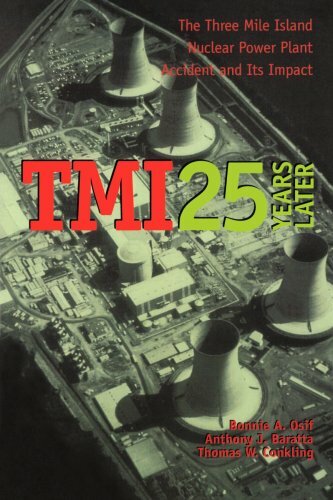 "So ends the book TMI 25 Years Later, an objective, inclusive compilation of information regarding the March 28, 1979 Loss-of-Coolant Accident in Reactor 2 of the Three Mile Island Nuclear Plant near Middletown, PA. The book, written by three Penn State University staffers, offers a balanced, condensed history of the events of the accident and the years of follow-up that have occurred.Sections cover all aspects of the accident, including rather extensive review and analysis of the role played by the media in the event.Other topics covered include short- and long-term physical and psychological health effects, industry regulatory and financial impacts, and environmental consequences, along with current and future power requirements in the United States and the options for meeting those requirements. In order to properly understand exactly what caused the accident and what it's effects meant to the local population, a rudimentary understanding of nuclear processes and power generation are needed. Complex nuclear concepts are presented in an illustrated, easy-to-understand manner, and an in-depth minute-by-minute timeline of the accident is presented along with causes, effects, and notes that only the luxury of extensiveinvestigation and hind-sight can provide. Winner of the 1999 Herbert Baxter Adams Prize of the American Historical Association. and Winner of the 2001 Edelstein Prize (formerly the Dexter Prize) presented by the Society for the History of Technology (SHOT). This award is given to the author of an outstanding scholarly book in the history of technology published during any of the three years preceding the award. "Thanks to Gabrielle Hecht's talent and insight, the French nuclear program she explores has turned out to be for STS what the drosophila was for genetic research. This book not only sheds new light on the role of technology in the construction of national identities. It is also a seminal contribution to the history of contemporary France." In the aftermath of World War II, as France sought a distinctive role for itself in the modern, postcolonial world, the nation and its leaders enthusiastically embraced large technological projects in general and nuclear power in particular. The Radiance of France asks how it happened that technological prowess and national glory (or "radiance," which also means "radiation" in French) became synonymous in France as nowhere else. To answer this question, Gabrielle Hecht has forged an innovative combination of technology studies and cultural and political history in a book that, as Michel Callon writes in the new foreword to this edition, "not only sheds new light on the role of technology in the construction of national identities" but is also "a seminal contribution to the history of contemporary France." Proposing the concept of technopolitical regime as a way to analyze the social, political, cultural, and technological dynamics among engineering elites, unionized workers, and rural communities Hecht shows how the history of France's first generation of nuclear reactors is also a history of the multiple meanings of nationalism, from the postwar period (and France's desire for post-Vichy redemption) to 1969 and the adoption of a "Frenchified" American design. 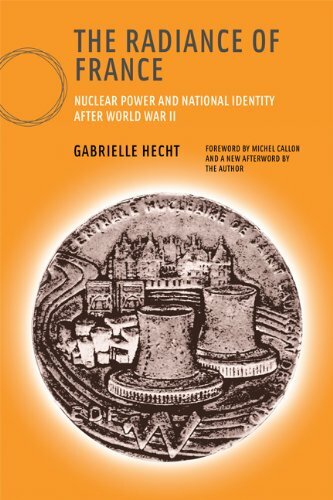 This paperback edition of Hecht's groundbreaking book includes both Callon's foreword and an afterword by the author in which she brings the story up to date, and reflects on such recent developments as the 2007 French presidential election, the promotion of nuclear power as the solution to climate change, and France’s aggressive exporting of nuclear technology. 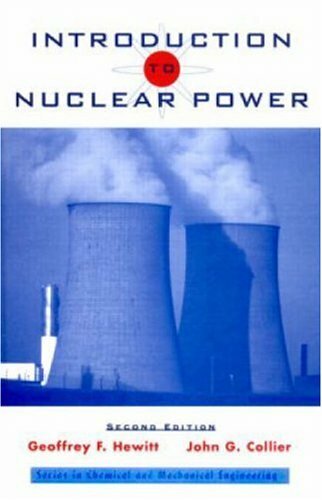 Totally biased book based on the pros and cons of Nuclear power. The average reader can pick it up and understand it. This book contains lots of info. about Nuclear Power. Here are some quotes: With radioactive cobalt, botanists can produce new types of plants. Structural variations that normally take years of selective breeding todevelop can be made to occur in a few months. The radiation has evencaused genetic mutations in children whose parents were exposed to theradiation. Nuclear power has been called "a power too cheap to meter" and a clear source of electricity, which according to this book "may be crucial for preventing catastrophic consequences of global warming and for preventing wars over the world's supply of petroleum" (p. v). Yet there remains a strong opposition to nuclear power due in large part to misconceptions and the fear of nuclear weapons, radiation, and nuclear waste management. Nuclear Power: Villain or Victim? argues that the basis of such misconceptions is the lack of appropriate information and knowledge. 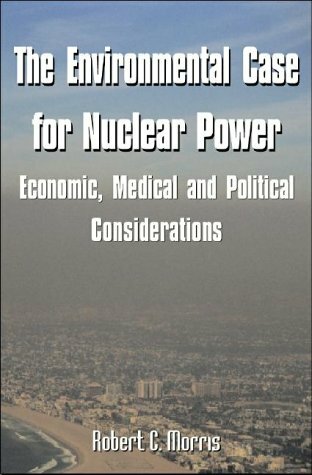 In Chapters 1-10 the book gives information on the properties of nuclear power and energy, and the consequences of nuclear use or not-use. Chapter 11 outlines the benefits from nuclear power, while Chapter 12 makes recommendations for policy and further research. The first chapter shows nuclear fissile power to be competitive with fossil fuels. Therefore it stands to improve the standard of living in the USA as it did for other countries like France and Japan. Chapters 2 - 4 deal with the physics and engineering of nuclear power processes and nuclear energy generation.The remainder of the book concentrates on nuclear medicine and public health, reactor and plant safety, residual (waste) and waste management, nuclear materials and the spectre of international terrorism in relation to undesired stocks post-Cold War, and old vrsus new generations of reactors, plants, and the entire nuclear energy cycle. Finally, the book describes the cost of producing nuclear power. Figure 14 on page 82, for example, shows that the cost per kilowatt-hour has been lower for nuclear prior to 1985 than for coal, gas and oil.Partly because of safety issues, the cost of nuclear power exceeded that of coal between 1987 and 1995, but the former is falling at an increasing rate. In only 100 pages, Dr Max W. Carbon has written a great book - hands down! Even the "little-known facts about nuclear power" on the back page make excellent reading. An easy 5 star. This book addresses many issues concern nuclear power very clearly and directly in simple non-technical language.It should be read by everybody for better understanding of its constructive potential and tremendous practical advantages over other conventional energy sources.No matter you are pro or con nuclear power, everyone should give this quick-read book a try. 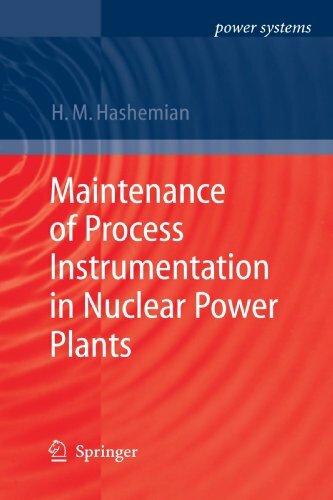 Since this book was written almost 10 years ago now, it would be highly interesting and useful if it got updated on today's technology that makes nuclear power even safer and more efficient. The world-renowned antinuclear activist's "expertly argued" (The Guardian) case against nuclear energy. The author of this book, Helen Caldicott, is an Australian medical doctor.For several decades, she has led an international crusade against nuclear weapons and nuclear energy.In this book, she argues against nuclear energy and for renewable energy sources such as solar and wind.According to her, nuclear energy is both immensely more expensive than we have been told and far more dangerous.According to her, either wind energy or solar energy, alone, could quickly, easily and efficiently provide for all of our energy needs, at a much lower cost than nuclear energy. I did not approach this book with much sympathy for the anti-nuclear position.On the contrary, I have been increasingly convinced that nuclear energy, despite its obvious problems, is a necessary part of the energy mix in the future.I read this book, because I wanted a good review of the other side.I like to read both sides, to see what they have to say. This book disappointed me.Usually when I read a serious book of non-fiction, I learn something, even if I disagree with the author's general conclusion.Dr. Caldicott, however, is so absurdly biased that nothing she says can be relied upon.Example.An obvious problem with nuclear power is nuclear waste.One potential solution is reprocessing, a process which uses nuclear waste, a secondtime, to extract more energy from it and to reduce the ultimate amount of dangerous waste. Caldicott says that reprocessing simply cannot happen, that it is too expensive, too dangerous and no one can even think about it.She says that reprocessing is simply dead as an option. She fails to mention, however, that France -- which gets half of its energy from nucs -- has developed a way to reprocess nuclear waste.France does this routinely, and it does this so economically that it gains a good deal of export income by reprocessing the nuclear waste of other nations. Dr. Caldicott, in short, simply ignores inconvenient facts.She does not like reprocessing, because it makes nuclear energy use look more possible.France reprocesses nuclear waste with great success.Thus, Caldicott simply ignores the French reprocessing and counts on the reader to be too ignorant to catch her with her thumb on the scale. There are examples after examples of Caldicott taking extreme and ludicrous positions.She says, for example, that either wind or solar energy, by itself, could easily take care of all of the US's energy needs. She fails to mention that we have been heavily subsidizing both forms of energy for several decades, and they still contribute only trivial amounts of energy.The problems with solar and wind are now widely acknowledged.Both sources of energy are so diffuse that they require huge systems to collect.Both sources of energy are unreliable, so they cannot be used for baseline power but must have backup systems.There are possible answers to these problems, which some people have some optimism about and others do not.Caldicott, however, simply ignores the issues, and asserts the fantasy positon that solar and wind -- right now, today -- could supply all of our energy, if only the evil oil companies and the evil Bush Administration were not blocking them.Well, we now have the very pro-solar and pro-wind Obama Administration in power.It has not been able to make either technology work either.We all hope that wind and solar can make major contributions to our energy needs, but all responsible people see major hurdles in front of them. Dr. Caldicott is not a responsible scientist; she is an extreme and unbalanced zealot, whose arguments can not be relied upon. Even the major opponents of nuclear power fail to state CO2 and all other pollutants are generated by the fossil fuel burned to mine, mill, and process the ore into fuel rods.Dr. Caldicott establishes this obvious fact and much more.This book should be required reading for Dr. Steven Chu, Obama, and the entire Congress. I had been reading Tucker's Terrestrial Energy book, which is pro-nuclear and in fact has some good points about the possibilities of nuclear power. After reading chapters in this book, I was pretty convinced nuclear might have a place in our future energy portfolio, although I was kinda irked by the author's continued, somewhat Orwellian ploy to "rebrand" nuclear energy as "terrestrial energy". The only problem of course with my premature conclusion, obviously, was that I was reading only one side of the story. So I started hunting around the library for a book that would give some information on the problems of using nuclear energy. 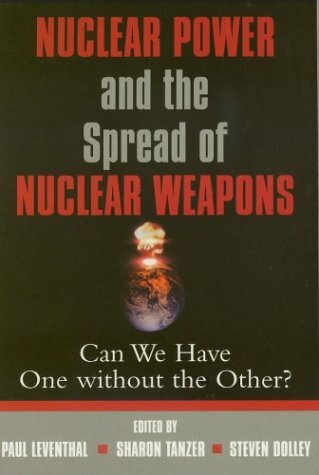 The only book I found in the library that went over the problems of nuclear in a concise and very clear manner was this book. Some of the others were vague and shrill, some were too verbose and boring. After an hour of so reading through passages in the book, she had planted some big doubts in my mind. I'll leave the obvious problems regarding radiation health risks, terrorist attacks, and accidents, since these are what people immediately think of when discussing nuclear power. Instead, I'll note some things she said that were NOT so obvious. First of all, unlike solar energy and other renewable energy, the mining of uranium as fuel, its transport, the disposal of radioactive wastes, and the decommissioning of highly-radioactive plants generates significant CO2 and uses up very significant amounts fossil fuels. This is something that is never factored into the equation when pro-nuclear sources calculate the energetics of nuclear power plants. Secondly, unlike nuclear or wind, nuclear power plants depend on a NON-renewable source, one that is scarce and is mainly imported from foreign countries (I think she mentioned 80% of uranium is imported, which means using nuclear does NOT make the country more energy independent). So, there you have it. I think if one wants clear information about why we should not use nuclear power, then this book should be their first stop. Prior reviews have done a great job of putting this book in it's place (namely, at the bottom of a wastebasket), but there are some important facts that must be stated regarding 'green' energy; facts that the media doesn't place on the front page and which Caldicott's book ignores or glosses over. Ironically, many of the arguments that she uses against nuclear power can easily be turned around and used to attack wind, solar and, the most deadly of the renewable energy sources, hydroelectric (see below). If nuclear power is like cutting butter with a chainsaw as she says, wind and solar resemble cutting butter with a human hair, and hydroelectric power is like cutting butter with 500 pounds of nitroglycerin (Can you imagine that? Baking would usurp sports as the paradigm of masculinity!!). Firstly, from an economic standpoint, solar is a sunk cost. According to Severin Borenstein, Professor of Business at UC-Berkeley, solar panels--even under the most generous of conditions (sparse clouds, constant access to direct sunlight during every second of daylight; both of which are exceedingly rare in the REAL world)--solar panels don't even generate enough power over their lifetime to recover even 30% of the cost of installation! (Cf. "Professor Says Solar Panels a 'Loser'", San Jose Mercury News) While nuclear power plants are being designed that can desalinate water and even generate hydrogen for fuel cells while also generating electricity 24/7, wind and solar cannot do these on their own. They only generate electricity and, even then, due to nature, only about 30% of the time (can you imagine your life without electricity for 5 days of the week?). If wind and solar are as reliable as Dr. C would have us believe, why is the Netherlands (where wind & solar are used heavily) constantly buying electricity from France (where Nuclear provides 80% of the nation's electricity)? Does that sound like energy independence to you? Of course, then we have subsidies (which Dr. C supports for wind and solar), which are as horrible an idea as any. Newspapers like to report headlines along the lines of "Government gives money to nuclear industry to build plants", while neglecting to mention that the government actually gives out LOANS, which must be repaid. Obama just awarded the wind and solar industries a huge subsidy. Why not a loan? Because subsidies are perfect for industries that generate NEGATIVE profits but which are deemed 'necessary' by the powers that be. (I don't know about you, but I sure don't trust our current "special interest friendly" administration to tell me what's necessary.) So if a wind company loses $50,000 this year, the government sends them a check for $50,000 to cover that loss. There are tens of billions of YOUR dollars in such subsidies for the wind and solar industries. Sounds like pure insanity to me; if a company's product is inferior, or its workers are inefficient, why should WE pay to keep it afloat? Why are people so outraged when the banks & auto industry get such favors, but silent when the green industry does as well? Lastly, I want to address hydroelectric power, Dr. C's pet child, an historically dangerous source of electricity which even some pro-nuclear environmentalists have (mistakenly) espoused. Whereas nuclear power's handful of accidents in 50 years have caused the deaths of a few hundred (at most), hydroelectric disasters have killed hundreds of thousands. The Banqiao Dam failure of the 1970's killed 171,000 Chinese and left millions homeless. And Three Mile Island gets all the press?! The Vajont Dam failure in Italy in 1963 killed 2,000. Yet all you hear is "Chernobyl Chernobyl Chernobyl!" The Situ Gintung dam in Indonesia just went kaput this past March, killing over 100 in the process. That's just three of many. Of course, there's also the high risk of terrorism. Frankly, I'd feel much safer living near a nuclear plant than a hydroelectric. If nuclear waste is the elephant in the room of the nuclear industry, as a prior review laughingly put it, then hydroelectric's REAL potential for mass destruction and death is the elephant in the room of the green industry. Caldicott doesn't mention any of this, of course. You could almost say the anti-nuclear crowd are the "creationists" of the left. But I'm sure the coal industry loves them, since it's obvious that's who will fill the energy void created by any nuclear phaseout. Do yourself a favor and skip this book. And Dr. Caldicott, please do the world (and environment) a favor and stop writing these books. Halfway into this book I realized the breadth of issues at stake. Helen delineates and demonstrates the many faces of the issues posed by a deadly toxic to generate electricity. As you got into the book, I also found much of work carefully referenced. What prompted me to write this review is what I found to be the horrid science used by the negative reviewers, who offer no references while arguing Caldicott's work. Also, while dicing her excellent work, none of negative reviews I read take up most significant fact that Helen points out. Nuclear waste is not just toxic for 50,000 year, but Caldicott's respected sources say that it is a dangerous poison for hundreds of thousands of years. While I have a MS degree, which trained me to understand the scientific process, I also stake my opinions on my experiences. Before I trained in cyber security I had been a trained mechanic and then a carpenter and builder. My analytical skills were first honed through trouble shooting system and structural problems.This book is consistent and systematically outlines the issues at stake. Helen Caldicott's book also raises significant questions that seem common sense to me.How do you keep a deadly toxic material safe for hundreds of thousand of years? What has history, archeology, and the science o f corrosion resistance and structural building materials, as well as the shifting plates of the earth's crust tell us? Caldicott's book has led me to think of such things. It also addresses what it is that you need to keep stored nuclear waste safe from. Further more it covers "how are we doing right now"? How safe is our current stock pile of nuclear waste? What are the current threats to our stock? How have our short term waste facilities been designed and what are the ramification considering it current state? Helen Caldicott's book suggests that any long term solution needs be a reasonable consensus of the recognized experts in the fields in question. Experts need to be in fields of where we put the stuff, i.e. the earth's crust. Who can say where is a guaranteed, beyond a reasonable doubt, stable - for hundreds of thousands of years - place is? Other experts needed are in the fields of how we build the containers. What kind of engineering is qualified to make a 100,000s of years determination? After reading the negative reviews of Helen's work, it becomes apparent that the toxicity of nuclear waste is the elephant in the room. It seemed to me that Helen's research indicates that proponents of nuclear power simply do not demonstrate a conscience regarding the threat. Please, look into this; it is not just the human race, right? While the book looks at the issues through scientific and socialistic prisms, the content can easily apply to a meaningful consider of the religious point of view. If mankind was given the dominion (responsibility for) over all the rest (animals and plants, say), are we doing a conscientious job? Also one could consider the spiritual; are we acting with responsibility unto 10 generations forward? Does that responsibility need a "beyond-a-reasonable-doubt" set of actions? A good argument can be made that because of fear of changing the status quo it more than 30 years for the established science community to accept that the evidence proves beyond a reasonable doubt that the level of pollution we are generating - creating status quo electricity - is not sustainable (accolades to Al Gore) i.e. we may kill ourselves and the planet doing it. It is evident that some of the educated community feels so threatened by these facts that they are blind to science when it comes to where they have committed their hopes in maintaining the status quo. I have even heard public proponents of nuclear dismiss the reasonable fear of toxicity, saying it is just 300 years! And how does that happen? Most of us know that you don't need to be scientist or a priest to answer that. Most lobbyists find there livelihood in promoting their agenda. With a few exceptions, Helen does a thorough job of providing references for the information her book provides. The detractors have much to say of what is wrong and what they think is right information. Unlike most of Helens work, they offer no references that we can follow through on. This kind of work is never accepted in science journals. So how is it that people claiming to be well versed in science and knock Helen's research, do not follow with the scientific method, as she does, for their detractions? Please read the book, check the science for yourself. We need an informed democracy. Check the sources that Helen uses. Are they respected scientists in their fields? This is an important issue, so if you doubt the science, check out that resource before taking a stand. "Introduction to Nuclear Power" is a well-written introduction to the mechanics and physics of commercial nuclear power reactors. The book has a very strong emphasis on thermal issues that can develop in nuclear plants, and lucidly explains the design considerations and challenges in various types of nuclear power plants (e.g. BWR, PWR, Magnox, AGR, etc.) as well as the engineered safety systems that make such reactors practical and safe to operate. The book begins with a general overview of concepts and nuclear technology, then progresses rapidly into more detailed information. I found this book to have the best (and most comprehensible) introduction to two-phase flow issues in reactor cooling (p.70), which makes sense given the heat transfer angle the book frequently takes. Likewise the dangers of a positive void coefficient in Soviet RBMK plants (such as Chernobyl) are extremely well explained here (p.52), as are unique design features of these marginal designs. The explanation of the various type of control rods (manual and automatic control and regulation, radial power shaping, axial flux profiling, etc.) in an RBMK plant (p.53) is the best basic introduction to the subject I have yet seen. There is a lot of text devoted strictly to safety systems and procedures, and a section dedicated to incidents in light water-cooled reactors, which is very helpful to those interested in nuclear safety. I especially appreciated the lengthy discussion devoted to Loss of Cooling Accidents (LOCA), to include small-break and large-break LOCA scenarios. These discussions are thoroughly illustrated, but some of the illustrations are difficult to grasp as the valve positions and liquid and steam phase flows are hard to see, and the discussion of the illustrations (pp.110-112) is not always totally clear. As a related aside, the book has sample problems at the end of the chapters in the event it is used as a college text. The examples used and subsequent questions are frequently discussed in inadequate detail to truly understand the issues being examined. They are fine to read and attempt to solve, but I generally found the discussions and sample problems at the chapter conclusions to be the weakest points in the book. 18. Nuclear Power and the Spread of Nuclear Weapons: Can We Have One without the Other? In the wake of California’s energy crisis, policymakers’ rush to satisfy growing demand requirements may run the risk of naively ignoring the larger issues and dangers associated with increased reliance on nuclear power. A connection between national nuclear power programs and nuclear proliferation can be found in the strategic initiatives of North Korea, Iraq, Iran, India, and Pakistan. Leventhal summarises a workshop in 2001 that argued whether nuclear proliferation and nuclear power were separable. The book has strong, articulate arguments for and against this claim. Whatever your current views on this issue, you might profitably gain by reading the book. It does not present straw dummies on one side. As relevant today as it was when first published , this book is a treasure of information on the facts of nuclear energy and the better solutions that are available. Gold Award Winner for Political Science in the 2002 ForeWord Magazine Book of the Year Awards. In December 1998, Energy Secretary Bill Richardson announced that the U.S. planned to begin producing tritium for its nuclear weapons in commercial nuclear power plants. This decision overturned a fifty-year policy of keeping civilian and military nuclear production processes separate. 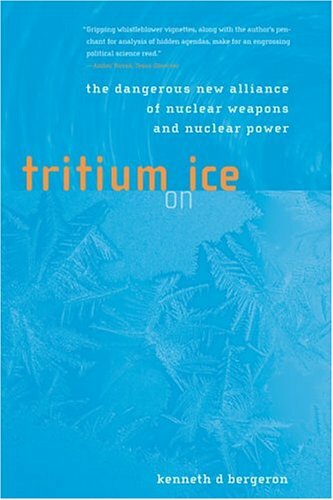 Tritium, a radioactive form of hydrogen, is needed to turn A-bombs into H-bombs, and the commercial nuclear power plants that are to be modified to produce tritium are called ice condensers. This book provides an insider's perspective on how Richardson's decision came about, and why it is dangerous. Kenneth Bergeron shows that the new policy is unwise not only because it undermines the U.S. commitment to curb nuclear weapons proliferation but also because it will exacerbate serious safety problems at these commercial power facilities, which are operated by the Tennessee Valley Authority and are among the most marginal in the United States. The Nuclear Regulatory Commission's review of the TVA's request to modify its plants for the new nuclear weapons mission should attract significant attention and opposition. This is a compelling, timely and informative work by a knowledgable insider. Kenneth Bergeron explains in this clear, concise narrative the inner workings of our nuclear establishment and why civilian and military uses had been historically kept separate. A policy that is even more important today. He documents the complex and disturbing process that culminated in a 1998 decision to abandon this vital policy and the underlying factors that subordinated the public interest. This is a "must read" work that will move readers to add their voices to those seeking to reverse a dangerous decision before it is too late. Is there a hydrogen bomb in Libya's future?